Philips’ latest ultra-wide monitor from the X-Line Brilliance series, the Philips 349X7FJEW, delivers a stellar image quality and a fluid performance thanks to its high-contrast VA panel, 100Hz refresh rate, and FreeSync technology. 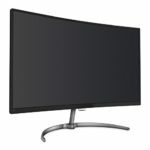 Although 100Hz gaming at 3440×1440 is not exactly cutting-edge as we already have 144Hz at 4K gaming monitors coming this year, the Philips Brilliance 349X7FJEW is a nice addition for those looking for that combination of specifications available for an appealing price and within a beauteous design. The Philips 349X7FJEW monitor features an 8-bit MVA panel that delivers a superior static contrast ratio of 3,000:1 which results in brilliant image quality with a remarkable relation between the brightest and the darkest colors. The 3440×1440 resolution on a 34-inch screen allows for crystal-clear details due to the rich pixel density of roughly 109 pixels per inch. The panel covers about 117% of the sRGB (99.8% NTSC) and 80% of the Adobe RGB color gamut with color accuracy amounting to a bit over 2 Delta E point. While the color uniformity is top-notch, the brightness uniformity is a bit off, though nothing critical. There is no noticeable backlight bleeding nor dead pixels whatsoever. In the fastest mode, the response time speed amounts to 4ms gray to gray while the typical speed is set to 14ms. The fastest mode successfully eliminates most of the ghosting and trailing caused by the fast moving objects in video games, but still not quite as effective as a TN panel gaming monitor nor a modern IPS. As an ultra-wide monitor is by no means intended for professional gaming, the amount of ghosting artifacts is perfectly acceptable and in fact, barely noticeable in more casual gaming. More importantly, the 100Hz refresh rate makes for a smooth and fluid gameplay experience with minimal input lag that can be further improved using FreeSync technology. If you have a FreeSync compatible AMD graphics card, you can synchronize the frame rate of your GPU to the refresh rate of the Philips 349X7FJEW display. As a result, you will gain a dynamic refresh rate within 40-100Hz range with zero screen stuttering and screen tearing; moreover, input lag is reduced. Naturally, you can still use the monitor with a Nvidia graphics card, but you won’t be able to enable the dynamic refresh rate technology. The Philips 349X7FJEW FreeSync monitor is flicker-free as it doesn’t use PWM (Pulse Width Modulation) which allows for endless hours of playing or working without feeling eye fatigue. Other features include the SmartImage Game mode which consists of several pre-calibrated picture settings for different gaming genres such as FPS, RTS, Racing, and two customizable Gamer presets. These picture preset modes use optimal settings of brightness, dynamic contrast, sharpness, and color parameters in order to provide you with the best image quality possible depending on what you’re doing on the screen. For a comfortable reading experience, there’s the low blue light filter which eliminates the harmful blue lights. In addition to the flawless 178-degree viewing angles, you’ll be able to enjoy a flawless picture quality without straining your eyes. Lastly, the MultiView and Dual Connect features allow you to effortless display multiple sources on the screen and control both of them using the Picture in Picture or Picture by Picture modes. The OSD menu is easily navigatable via the joystick that’s placed at the rear side of the monitor. You can also use it to quickly access the MultiView features and toggle between the picture presets. 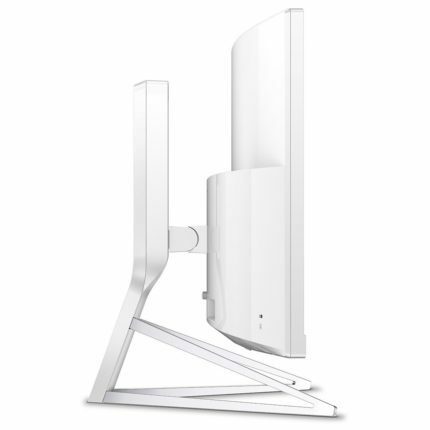 The design of the Philips 349X7FJEW consists of a white glossy finish with chrome and silver accents on the base. At the top and sides, the bezel is quite thin which makes the image pop out. In fact, the monitor won the Red Dot Award 2017 for its magnificent design. The combination of the 1800R curvature and such thin bezels makes for a stunning and immersive viewing experience while the monitor’s very pleasant to look at even when it’s off. The monitor also has plenty of ergonomic functionalities including 150mm height adjustment, -5, 20 degrees tilt, and 100 x 100 VESA mount compatibility. The only issue concerning the design is the weirdly placed Philips logo which is hanging from the bottom bezel; It would look a lot better if it was just written on the bezel. Another thing that may be troublesome to some users is the rather mild anti-glare protection that forces you to face the monitor away from the sunlight. However, the light coating also makes the image quality more immersive. The connector ports of the Philips 349X7FJEW 100Hz display are as follows: a DisplayPort 1.2, an HDMI 1.4, an HDMI 2.0, the headphones jack, and four USB 3.0 ports, one of which has the fast charging capacity. Both DisplayPort and HDMI ports support FreeSync at the 40-100Hz range. There are also 2x5W built-in speakers that provide a decent sound quality. 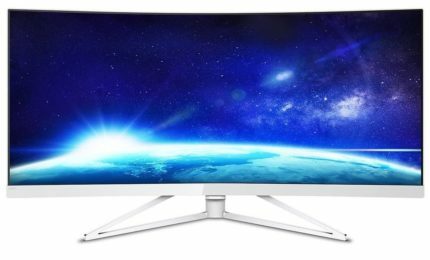 At the moment (May 2017), the Philips 349X7FJEW monitor’s price amounts to around $900 which is an appealing price considering its sleek design, brilliant image quality, and flawless performance. 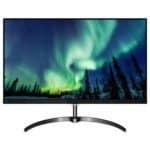 It’s almost equally priced as the other recently released ultra-wide display the AOC AGON AG352UCG and the other similar popular models such as the Samsung C34F791 and the ASUS MX34VQ which has Qi wireless charging features but limited ergonomic support. If you have a Nvidia graphics card, certainly check out the AG352UCG as it supports G-Sync. The Philips 349X7FJEW VA panel monitor delivers a fascinating image quality with a smooth performance. Colors are vibrant and accurate while the steep curvature and a gorgeous design make for an immersive and cinematic viewing experience. At 100Hz, action in video games becomes fluid and more intense with lesser input lag and an overall enjoyable gameplay. If you’re using an AMD graphics card, you’ll be able to use the monitor to its full potential. 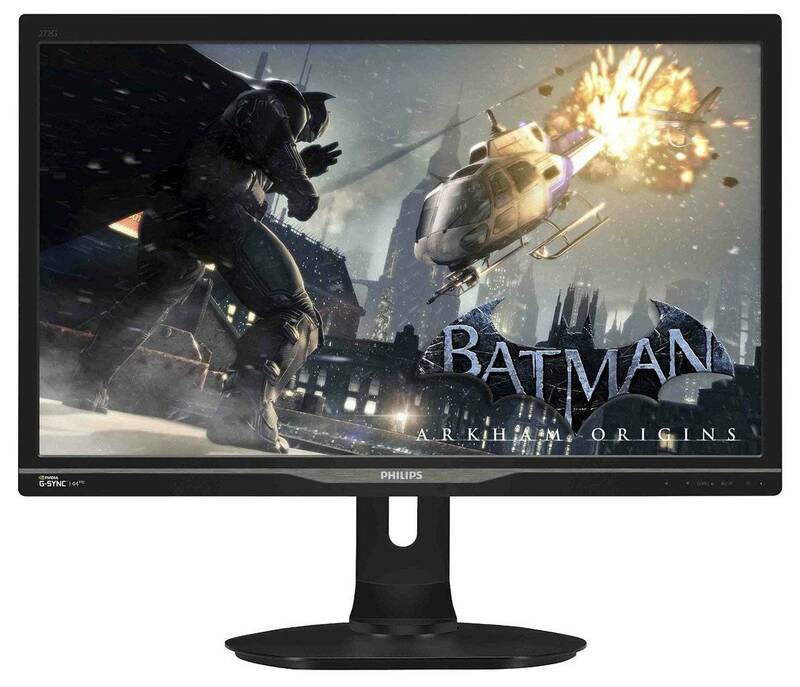 Although we’re all eagerly anticipating to finally get a 144Hz ultra-wide gaming monitor, the Philips 349X7FJEW is an excellent gaming machine nonetheless and offers a little bit of everything. For those out there who are not impressed by 100Hz ultra-wide monitors, check out the Acer Predator Z35P which features a 120Hz refresh rate. The Philips 349X7FJEW offers an immersive gaming experience due to its high-contrast VA panel ith accurate and vibrant colors. Additionally, it features a 100Hz refresh rate, FreeSync technology, and game-enhancing features for a smooth and fluid gameplay.